"Matthew Harken's urgent questions about his friend Anna's suicide and his own critical illness compel him to risk a perilous, spiritual quest. His heartrending, heart-opening journey through the interwoven worlds of memory, dream, and shamanic magic lead him not only to visions of Anna but to visions of grace. This passionate, poignant novel stands alone strongly and invites us deeper into the mystery of The Afterlife Trilogy." -Elizabeth Cunningham, author of The Maeve Chronicles. "The novel's most transcendent moments occur in Matthew's flashbacks to the time he spent in Paris with Anna. Both young emerging writers subsisting on meager meals in less than modest living situations, Matthew and Anna immerse themselves in the Parisian literary scene. In recalling these memories, Matthew squires readers through a vision of The City of Light so charmed and romantic even he questions whether it truly was as magical as he believed it to be. Engling displays an enviable gift for dialogue and a painter's eye for clear detail." 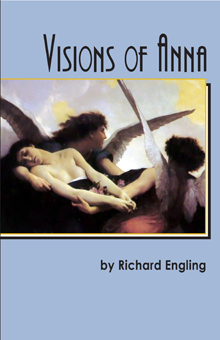 Purchase VISIONS OF ANNA by Richard Engling. $14.95. It is also available in both paperback and a Kindle version at Amazon.com. "...a strong authorial voice, motivated characters, and a plot that propels the book..."
"She Plays in Darkness is an exquisitely beautiful and haunting novel filled with such fully developed characters that readers will not soon forget them. This is a book to cherish, to re-read, the kind of novel that avoids sentimentality so fiercely that readers will give copies to their friends and tell them, 'Read this, this is a how a woman's life truly is.'" "In She Plays in Darkness, Fern Chertkow crafts a novel rife with mood and sentiment. Through Chertkow's protagonist, a painter/legal secretary named Cynthia, readers encounter a roster of characters that float in and out of this young woman's world, some barely registering with her, others impacting her life irrevocably. A year-long separation from her identical twin Rosemary (the Rose) forces Cynthia to construct an identity all her own.... The gift of this novel lies in Chertkow's ability to withhold obvious declarations from readers and to allow us to make our own discoveries, as Cynthia makes hers." 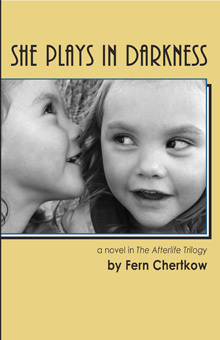 Purchase SHE PLAYS IN DARKNESS by Fern Chertkow. $14.95. It is also available in both paperback and a Kindle version at Amazon.com. 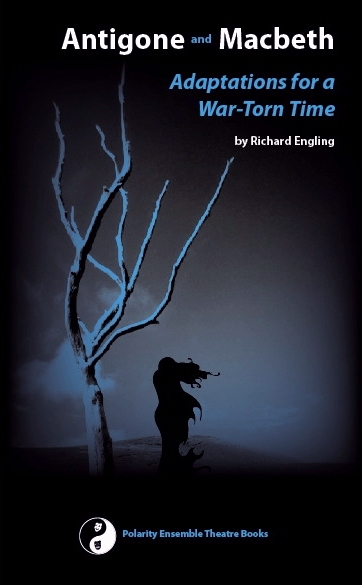 Polarity Ensemble Theatre Books is pleased to announce its first release: Antigone and Macbeth: Adaptations for a War-Torn Time. Both plays in the collection respond strongly to the current political situation. Playwright Richard Engling adapted and directed Absolute Macbeth in a critically-acclaimed ritual production designed to �purge the tyrant� from our society. Engling and directors Ann Keen and Zack Brenner have collaborated for two years on the script of Antigone. Though they see the political landscape from different points of view, they all wanted to bring out the inevitability of war when societies demonize one another and reserve righteousness for themselves. Click here to read back cover. 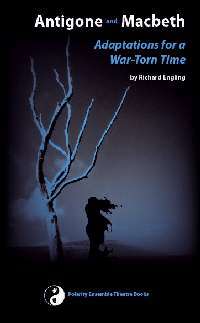 The complete text of Antigone is available to directors seeking a script for use in a production. To receive a review copy and arrange for performance rights contact us. Polarity Ensemble Theatre is a member of the League of Chicago Theatres.